In the midst of the First World War, on 11th November 1916, my Great Grandparents Alfred Newman and his wife Clara (née Gilbert) became parents again for the fifth time. This time they welcomed another daughter – Edna – my Grandmother, to their little Ely family. Today, in 2016, marks what would have been her 100th birthday. 2016 has been a hard year, although I’m sure that 1916 was harder. However, partly as a result of the four family funerals I’ve attended so far this year, I’ve found myself in what was once her family home, and for the first time seeing the mass of photographs, keep-sake tins of bits and bobs, letters, a passport, and other ephemera. My grandmother would certainly know hard times too – witnessing her older brother Wilfred being sent home to die in 1929 after exhaustive treatment in hospital for septicemia and tuberculosis when he was just 16yrs old, and hearing the news that her little brother Owen had died on a Japanese hospital ship after it was struck by a torpedo off Singapore. There would be more. In particular, these photographs are letting me see my grandmother for the first time in her younger years. So far, the youngest photo I have found of her is when she was bridesmaid for her older sister Phyllis, and she stands beside her, and their brother, in 1935. This is my grandmother at 18/19yrs old – just a teenager – but to me, she’s unmistakeable. Phyllis Newman and Sidney Fitch at their wedding in Ely, 1935. My grandmother is second from right, with their brother Leslie Newman on the far right. Photo: Andrew Martin. Within two years she would walk down the aisle with my grandfather Percy Martin, although perhaps somewhat hurriedly, as my uncle was born just 6 months later. Their family grew in Little Downham, a village near Ely, but it wasn’t without difficulties. Until a fortnight ago, as I had watched her oldest son’s (my uncle’s) coffin be lowered into his grave, and eventually turned to walk away, my mother tells me that this uncle was not the first to be buried there. This confuses me, but she relays the snippets of information that my aunt has told her and my father over the phone just days beforehand. There was another sibling – Malcolm – who my aunt (being his sister) believes is buried somewhere there too. Edna and Percy, my grandparents in happier times. Probably Hunstanton during the 1950s. Photo: Andrew Martin. It was a shock. I thought I knew all my aunts and uncles, how had I never known about this one, and how had I not just spotted it anyway in the records? So I’ve set myself the challenge of identifying his burial plot. That’s in progress, and will need my detective work to find the cemetery plot map. The next day, I searched through the birth and death indexes at freebmd, and sure enough, baby Malcolm Paul Martin was there. His birth in a neighbouring county hospital, his death in the hospital at the city of Cambridge – away from where the family’s other children had been born, and far outside of where I’d suspect him – if I’d ever suspected there was another child to find! The sadness of spring 1958 was revealed. This must have been so very hard on my grandparents, with my grandmother, now in her early 40s, giving birth prematurely to her final child. He hardly stood a chance – not just because he was premature (there’s no indication of by how much), but he would have been struggling to feed and grow strong due to having a cleft lip, and his weakness meant he stood no chance against the pneumonia. He was just 2 weeks old. My father hardly recalls him (as he was only young himself), my aunt remembers only a little more. My uncles never said a thing. After the breakdown of her marriage to my grandfather in the early 1970s, she remained living with my uncle, and was already a doting grandmother to my aunt’s children, but clearly missed them dearly as they were based in the USA. As my sister, my UK-based cousins, and I came along, she proved to be just as doting to us. I remember staying with her and my uncle on a few school holidays and playing with the kids next-door. I remember where my grandmother kept the sweets (in plain paper bags on the tray on the sideboard) which caused me to develop my light-footedness in aid of the liberation of countless aniseed balls. I remember (and still have) a couple of the Christmas toys she saved up to buy me in my childhood – and I found a letter just last week whilst clearing my uncle’s house, where my mother is explaining to her what the toy was that she’d paid for in 1983. That was quite a lovely little find. My parting memory of her is sleeping in a hospital bed. The same hospital where she’d had Malcolm almost 40 years earlier. I didn’t understand what was happening as an 8yr old in 1986, but my memories can take me right back there in an instant. I wish we’d known each other for so much longer, but I cherish the memories of the time we shared. Is there a ghost in my family tree? It’s not every day that you find a possible relative who was reportedly haunting a street. I turn ghost-hunter, meets ghost-buster, to see whether there’s any truth in the story. I love a good ghost story, and more so the ones that are written about the area that I know well. There’s lots of ghostly stories about Cambridgeshire – ranging from ghosts of Oliver Cromwell, to the beastly Black Shuck. I’ve even been shut in the pitch black of Peterborough Museum basement overnight with night vision cameras. I’m a complete sceptic, and one that doesn’t get scared. On one of my many ventures into bookstores, I picked up ‘Ghosts & Legends of Cambridgeshire‘ by Polly Howat (1998, Countryside Books), and when I got to page 41, I found myself reaching for a pad, pencil, census returns and parish register transcripts. Howat’s story is about a Jeremiah Newell of Ely, Cambridgeshire. This uncommon surname and the location fits perfectly with my Newell family tree. According to her write-up, Jeremiah, or Jerry to the locals, liked a drink. And on one night he had been drinking in his local pub – The Royal Oak on the corner of Potter’s Lane and Back Hill. The Royal Oak pub (now private house) sits on the corner of Potter’s Lane and Back Hill, Ely. Photo: Simon K.
He would have waved goodbye to (or been ejected by) landlord William Fenn, and made his way down the side of the pub towards his bed in Potter’s Lane. It appears to have been his last. It’s safe to assume that Jeremiah was likely to be somewhat drunk as he staggered that short familiar few meters home. The next morning, the residents discovered Jeremiah curled up, on top of a dung heap. Presumably, this would have seemed warm and comfy to a drunken Jeremiah, and perhaps he mistook it for his bed… but he had died during the night. The Cambridge Chronicle of 17th November 1866 backs up the story – with a guess at what Jeremiah had slept in or on, and complete with quotes from two residents who witnessed Jeremiah’s return (one of whom appears to be quite the wordsmith). 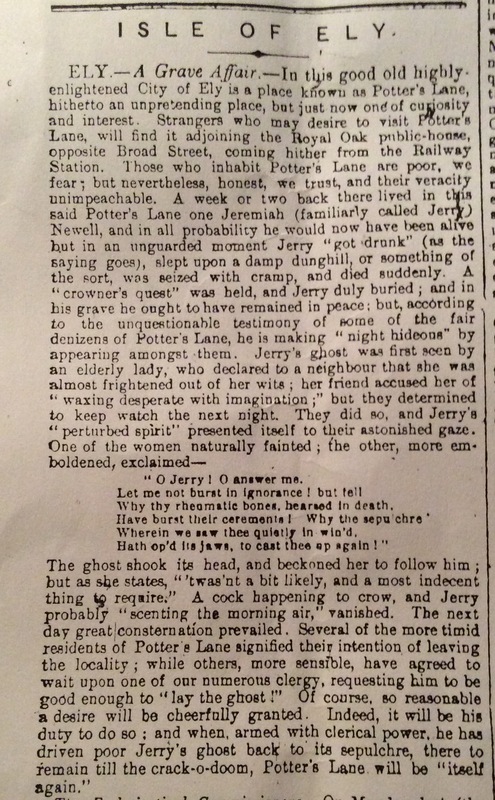 The Cambridge Chronicle report of Jeremiah’s death and subsequent haunting of Potter’s Lane residents in Ely. Copy held at the Cambridgeshire Collection. The newspaper article suggests an exorcism was requested by residents, but it is not clear whether it ever took place (not sure where i’d find that information), or whether the drama of the story led the reporter or their contacts, to stray a little from reality. The Stamford Mercury, which is not the local newspaper, and perhaps therefore has a different set of reporters, carries a very different story. I found a copy of this on FindMyPast. It’s dated from the day of Jeremiah’s funeral (2nd November 1866), and so doesn’t make reference to his ghostly return. Jeremiah Newell was escorted to The Black Swan pub – next to The Royal Oak (and just off to the left of the photo above). Jeremiah Newell was given beer, demanded gin, and then hit his head after dozing and falling over. Jeremiah Newell was laid outside in the sunshine but was found dead shortly after. These events are completely different from the other two, and I’m tempted to believe that the report from the non-local Stamford Mercury may well be more accurate. Believer or non-believer bit aside, how can I get closer to telling the proper version of this fun story on Halloween? To try to help me resolve this, I ordered his death certificate (to find cause and location), and I contacted the team at Cambridgeshire Archives to attempt to locate a copy of the Inquest. Sadly, floods in the 1960s decimated a lot of Ely records (including the 1861 census), and according to the Cambridgeshire Archives team, it seems that the inquest book covering this period was lost. This is a big shame for unpicking this story. Jeremiah Newell’s death certificate, noting his cause of death. 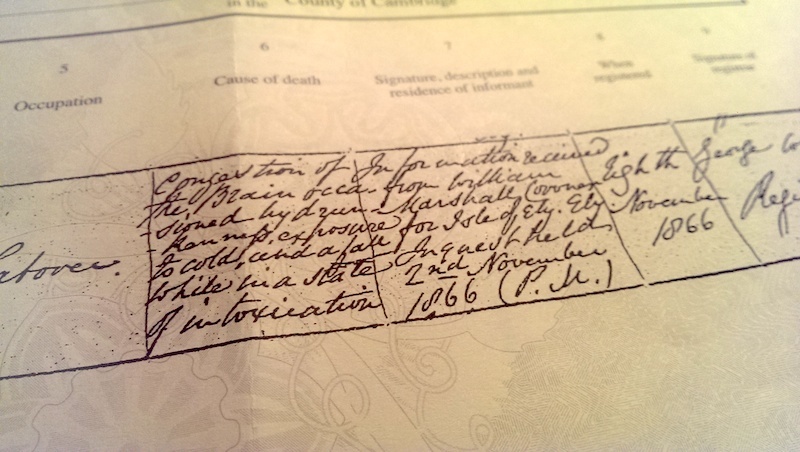 As for the death certificate, it revealed that he died on Halloween – precisely 148 years ago today. So, it seems that Jeremiah died following The Stamford Mercury’s account of events. Perhaps with his death taking place on 31st October 1866 – Halloween – the residents had taken the opportunity to dramatise his departure, when really he was just victim to his alcohol abuse. I imagine that the Inquest may have specified any evidence of the gas man, and also which pub he died in, but that now remains a mystery. He’s in the right place, at the right time, but linking him up has proved a little tricky. Jeremiah was the second of three known children – John (b.c.1809), Jeremiah (b.c. 1814) and Mary (b.c. 1816). All were baptised at Holy Trinity, Ely, Cambridgeshire, as the children of John Newell and his wife Alice (née Block/Black). Whilst it’s possible to see them together in 1841 and 1851, it’s the earlier records beyond Jeremiah’s Newell grandparents that are ambiguous with common names. My Newell’s remain in Ely either side of the dates that I’ve found for Jeremiah, his parents, and his nieces and nephews. The connection remains elusive, but tantalisingly close. I guess this bit will haunt me a bit longer. Jeremiah Newell was baptised on 25th June 1814, at Holy Trinity church, Ely, Cambridgeshire. 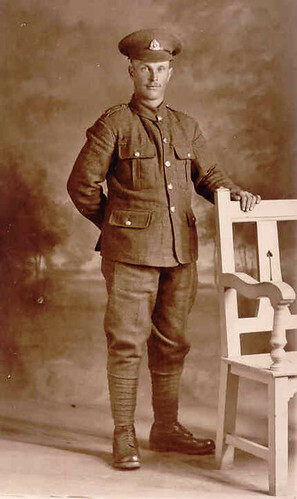 He was the second of three known children of John Newell (soldier) and his wife Alice (née Block). Jeremiah appears to have married widow Susannah Bidwell (née Pigeon) on 4th September 1858 at Ely. Jeremiah died on 31st October 1866, of injuries sustained whilst drunk, and in cold weather. Jeremiah was buried, aged 52yrs, on 2nd November 1866 at Ely cemetery. The burial register notes him as having lived on ‘Back Hill’ (which is the adjoining road). The Cambridge Chronicle reported the haunting on 17th November 1866. Polly Howat’s book, re-tells the story, 132 years after his death. Does the ghost of Jeremiah Newell continue to wander Potter’s Lane? I’ve previously wondered whether the dead could help solve genealogy puzzles, so perhaps I should pop along tonight to see if Jeremiah is willing to talk…. and clear up the confusion over what really did happen that fateful night in 1866. He might even be stone-cold sober by now. Author Andrew MartinPosted on October 31, 2014 October 31, 2017 Categories Ely, NewellTags 1866, Cambridge Chronicle, Ely, ghost, Ghosts & Legends of Cambridgeshire, ghosts of ely, hallowe'en, haunted Ely, Jeremiah Newell, Jerry Newell, paranormal Ely, Polly Howat, Potter's Lane, Stamford Mercury, Susannah Bidwell, Susannah Pidgeon, The Black Swan, The Royal Oak4 Comments on Is there a ghost in my family tree? This week for Wedding Wednesday, I’ve gone back to 1925, to the wedding of my Great Grandparents Ernest Dewey and Susan Moden at Ely, Cambridgeshire. This week’s Wedding Wednesday blog post, visits Ely in 1925, when my Great Grandparents were married. After a nine year courtship, that reached back from November 1925, and into the First World War, Ernest Edward Thomas Dewey and Susan Jane Moden were wed at St Mary’s Church. I’ve only stumbled across two photographs from this wedding, and neither of these show the bride or groom. 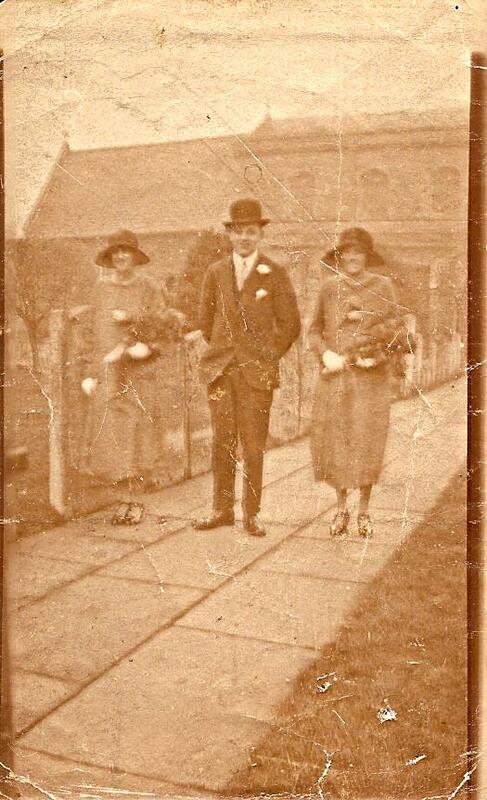 Here’s the first photograph – in very poor condition – showing their bridesmaids and the best man. Bridesmaids Gladys (left) and Grace (right) with the mystery Best Man (centre). 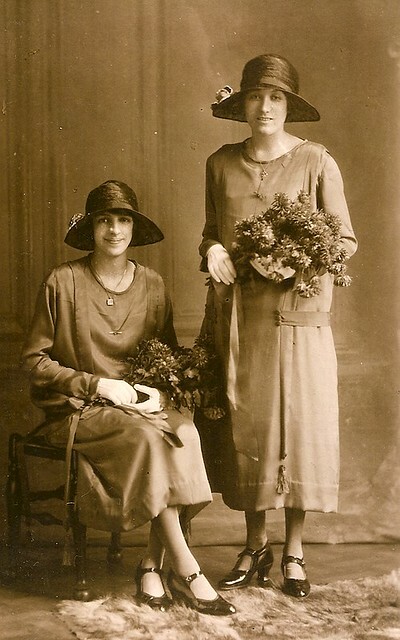 Their bridesmaids were Ernest’s cousin Gladys Anderson, and Susan’s younger sister Grace Violet Moden. Here is the other photograph, which has clearly been better looked after. The best man is currently nameless, but a newspaper check should hopefully reveal his identity. Ernest had many brothers, and Susan had just one. This man could easily be any one of those siblings (as was seemingly often done in this part of the family), or someone entirely different. How The Eagle and The Lamb became extinct in Ely, Cambridgeshire, and how my ancestors survived it. I get a sense of comfort or closeness in knowing that I am visiting somewhere where an ancestor once worked, lived, or even died. I don’t think I am alone in this, but it’s frustrating when you can’t see or visit the place they once knew. It was five years ago since I first wrote about my publican ancestor, the uniquely named ‘Vine Cross’ (or Sabina Steadman Taylor as it turned out), on this blog. Since then, my goal of seeing a photograph of her now demolished pub had drawn a blank and I aptly put it ‘on ice’. However, I recently received an email from a Robert Flood who had seen my request somewhere online, and had a photograph of the pub on file. This was Vine’s home and business. This was The Eagle and Lamb on Cambridge Road in Ely, Cambridgeshire. 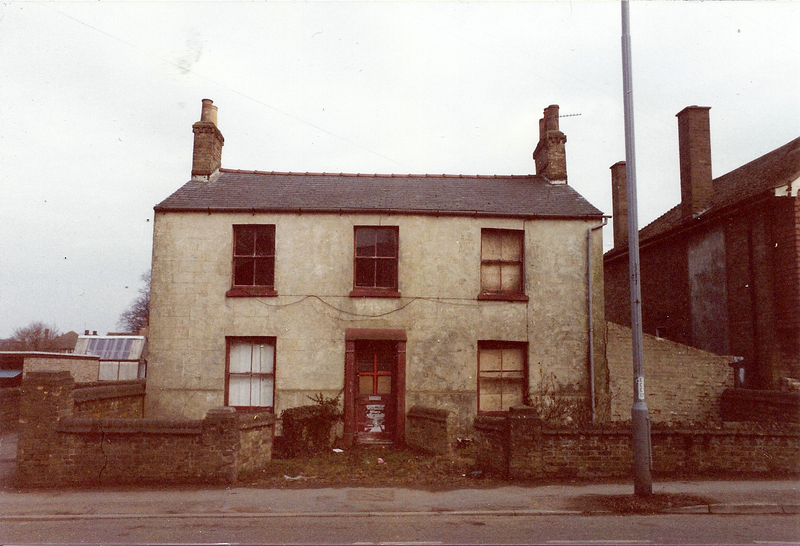 The Eagle and Lamb just before demolition in the 1980s. 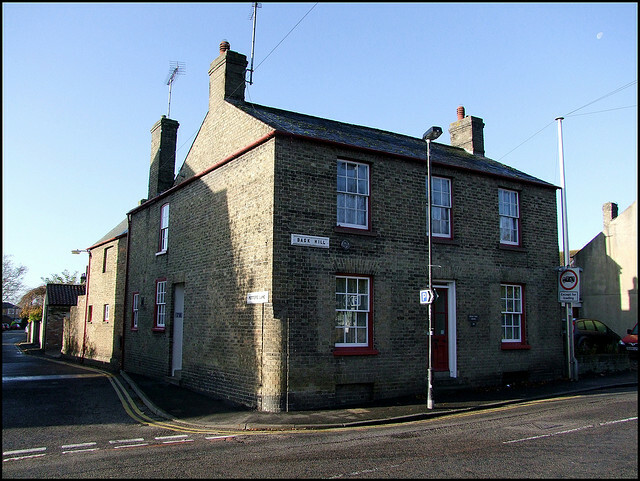 You can be sure it’s the same site, going by the distinct chimneys of the house next-door, and that the pub site was also home to the Eagle brewery, part of which has been incorporated into one of the few houses that the newer development contains. The photo is sad, and I can probably understand why it was demolished in 1987/88. The pub closed in September 1932. The modern day site gives little away – the lampost has seemingly moved a few feet, and perhaps some brick wall survives, but aside from this, there’s no other mark of this once being a place where many patrons enjoyed getting slightly (respectfully of course) sloshed, and where my Great Great Great Grandmother ‘Vine’ Cross and her husband George worked and lived, and for a while seemingly brought up their daughter’s Moden family. Between George and Vine, the couple had the second longest landlord holding of the property (12 years). They were beaten only by Charles Scarr who held it from 1873 to 1889. .. on 7th April 1856, Richard Porter, freehold brewer, purchased the site for £700 and ran his business from there until he sold the premises to Morgan’s Brewery Co. Ltd on 24th June 1889 for £1250. Morgan’s closed the brewery part of the business in 1902 but used the site as a distribution depot until 11th May 1920 when Ely brewers A&B Hall purchased the premises for £5000. My Great Great Great Grandfather George Cross was landlord from 1892 until his death in 1898, afterwhich he was succeeded by his wife ‘Vines Cross’, who then held it from 1899 to 1904. In 1901 Sabina appears as ‘Vina Cross’, a 48 year old widow. Joining her at The Eagle and Lamb, are a ‘roadman’ Richard Ingrey (67yrs), and William Lemon (44yrs) a ‘railway platelayer’. In two rooms, it is listed that her 30 year old married daughter Mary Ann Moden, was living with there with her husband Edward and their three daughters (one being my Great Grandmother, Susan Jane Moden). Ten years later, she’s still on Cambridge Road, but living further along on the corner with Barton Road. She’s living alone, aged 58 years, and working as a shop keeper. Sabina/Vine died in March 1916. The shop was handed on to her daughter Mary Ann Moden who lived nearby, and the site remained as a shop until the 1980s (during which time I visited it once as a child, but was completely oblivious of my connection to it). It is now a private house. I hope to now find more records relating to George and ‘Vine’s time at The Eagle and Lamb, and also seek out an old photograph of Vine’s shop whilst it was under her ownership. It seems that there may be a trail of brewery documents to follow, but for now, it remains a mystery. If you use Google to search for the Eagle and Lamb in Ely, Cambridgeshire, you pretty much only get search results for content that I’ve created. Surely there’s more information waiting to be discovered? New Year’s Day might be widely celebrated as the beginning of a year, but to many it also represents another occasion too – births, deaths, marriages, baptisms…. So here comes 2012! How do you see in a New Year? Whilst still just another 24 hours, looking back it has played a role in a range of historic events in my family. Here’s a list of some of them. On this day: 1st January..
1815 – Sarah Yarrow was baptised at Little Thetford, Cambridgeshire. 1890 – Thomas Kempton Yarrow married Kate Sarah Kempton at St Mary’s Church, Ely, Cambridgeshire. 1898 – Eliza Freeman married Arthur Digance at Coveney, Cambridgeshire. 1921 – Leonard Arthur Barber was born in Witchford, Cambridgeshire. 1986 – Sidney Albert Fitch dies aged 77 years. Has someone in your family tree marked New Year’s Day for a different reason other than a new year? Author Andrew MartinPosted on January 1, 2012 May 27, 2013 Categories EventsTags Eliza Freeman, Ely, Genealogy, Happy New Year, Kate Sarah Kempton, Leonard Arthur Barber, Little Thetford, New Year, New Year's Day, On This Day, OTD, Sarah Yarrow, Sidney Albert Fitch, Thomas Kempton Yarrow, WitchfordLeave a comment on Happy New Year! Wordless Wednesday – a weekly blogging theme from Geneabloggers. 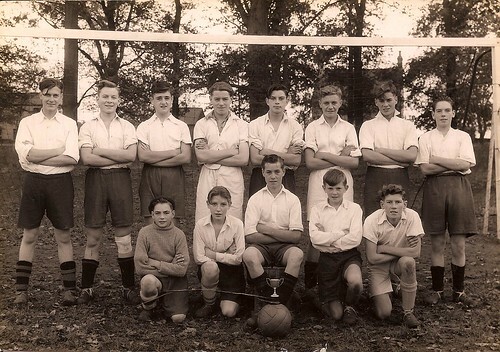 Haddenham or Ely Football Team, 1940s, a photo by familytreeuk on Flickr. Surname Saturday takes a look at the FREEMAN surname in Cambridgeshire. An old name that stretches as far back as the Middle Ages. Dating from at least the Middle Ages, it is widely believed that it was historically given to a person who was not a ‘serf’ (a slave) and were therefore quite literally ‘a free man’. In 1881, there were 19,124 people with the surname in Great Britain, ranking the surname as the 197th most common surname. Current estimates suggest that it hasn’t changed very much at all, with 24,892 (an increase of just over 5,000), placing it as the 208th most common surname. Over in the USA, there’s an estimated 162,686 people with the surname. 1891 statistics from Ancestry.co.uk show that the distribution of the surname gave a few concentration areas in England. The most recent Freeman ancestor in my tree was Mary Ann Freeman, born in Prickwillow – a village close to Ely, in Cambridgeshire in 1837. She was the oldest of ten children of John Freeman and his wife Mary Grey. Mary Ann married Edward Moden, an agricultural worker of Coveney. Together they had six children, the last of which (my ancestor) was born four months after Edward’s death in 1867. Mary Ann, with a large but young family, remained widowed until 1871 when she re-married to David Seymour in Coveney. A few months later, the family had moved to Green’s Farm in Ely, and they welcomed their first child together, followed in 1874 by their last child. Mary Ann’s parents, John and Mary, were from Prickwillow and Ely respectively. John was one of 11 children of John Freeman and his wife Phoebe of Coveney. John (snr) was in turn, one of seven children of William Freeman and his wife Sarah, again of Coveney. Prior to this generation, the family remain a little tricky to locate, with only a few speculative possibilities – but all in Cambridgeshire. There are two occasions in my tree, one of which is an ancestor, where the surname has been used as a middle name. Whilst middle names were often the maiden name of the child’s maternal side, which fits for John Freeman Moden, whose mother was the Mary Ann Freeman detailed above. The same cannot be said for John Freeman Dewey. John Freeman Dewey (b.1856) was illegitimate. Therefore, the use of the name could be a nod to his paternity, like in the case of Sabina Steadman Taylor. Alternatively, the choice of ‘Freeman’ could easily just hark back to the origins of the name – ‘a free man’ (of no master – or father). The identity of John’s father remains, and probably always will, a mystery. 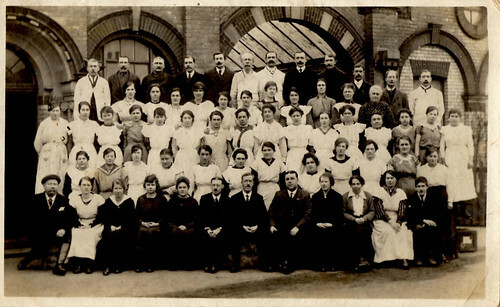 Staff at Granger’s Fruit Preserving Co. (Ely), originally uploaded by familytreeuk. Wordless Wednesday: 8th December 2010. 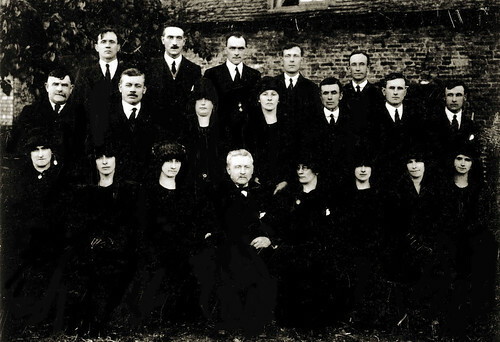 Newman funeral group 1925, originally uploaded by familytreeuk.